Going from a rainy 50°F (10°C) to -20° (-28.9°C) and back in a week must surely qualify as a Weather Event. 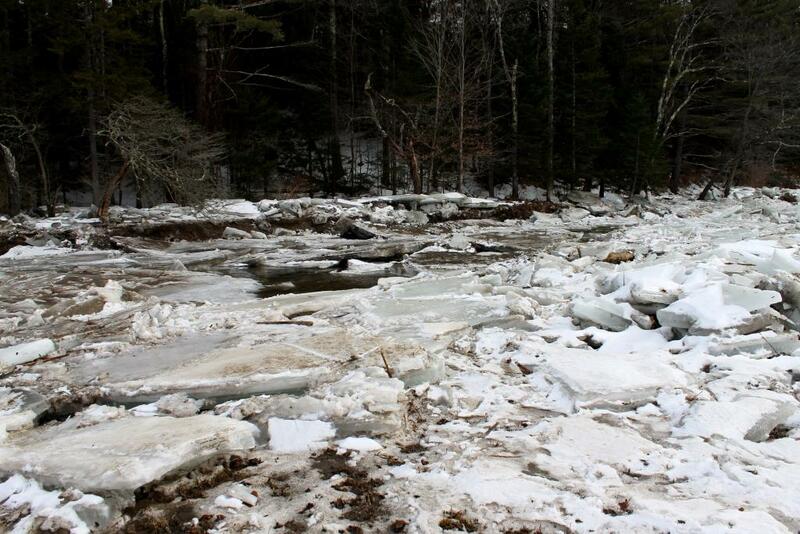 Streams and rivers swelled, then froze, then swelled again. The ice sheet on the lake groaned as the water beneath it rose and fell but the spillway system functioned and the flow continued on its merry way downhill. 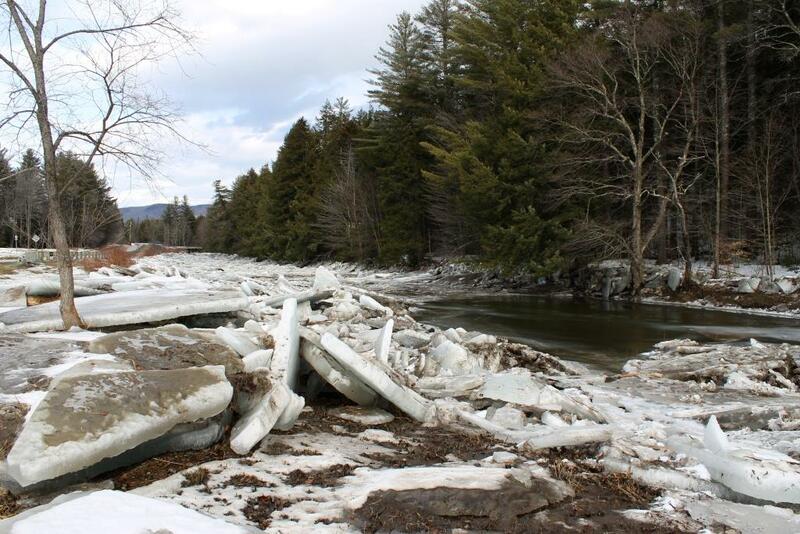 With dozens of tributaries flowing into the valley below, ice broke up on the river, churning in the current, banging its way downstream. Finally jumping its banks, the river fanned out on a floodplain and dropped its load. 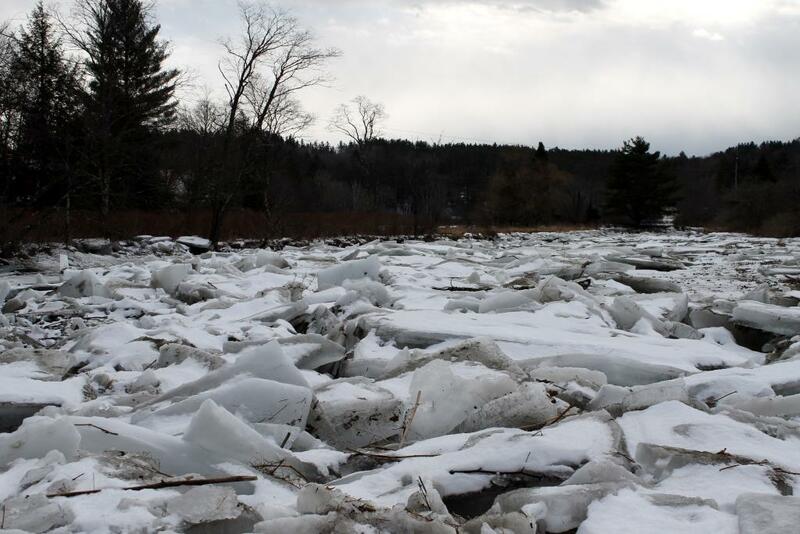 As on a conveyor belt, thousands of ice slabs piled in from behind and before you could say, “Robert is your father’s brother,” an old-fashioned ice jam had formed. 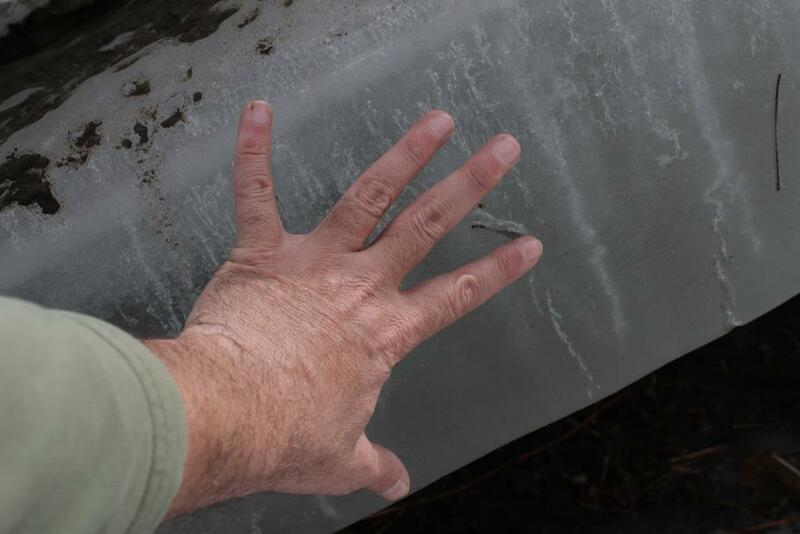 Slabs of ice, weighing thousands of pounds each, take their toll on bridges, guardrails and everything else in their path. Water wells up where it can, flowing through and around. Several days later the whole mess continued to shift and grind but, even if it hadn’t been moving, walking among the slabs would have been a dicey proposition. As Tropical Storm Irene reminded us few years ago, water has tremendous power. 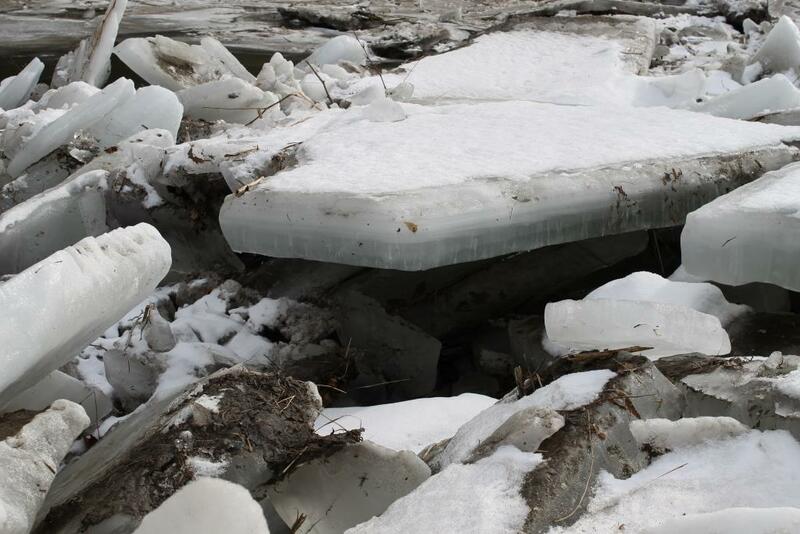 Ice jams in winter are capable of causing similar destruction, but colder and with bigger projectiles. Still, within all that randomness, there is some order. It was twenty below a week ago but the sap will be running in earnest soon. The roads are getting soft and Town Meeting is ten days away. 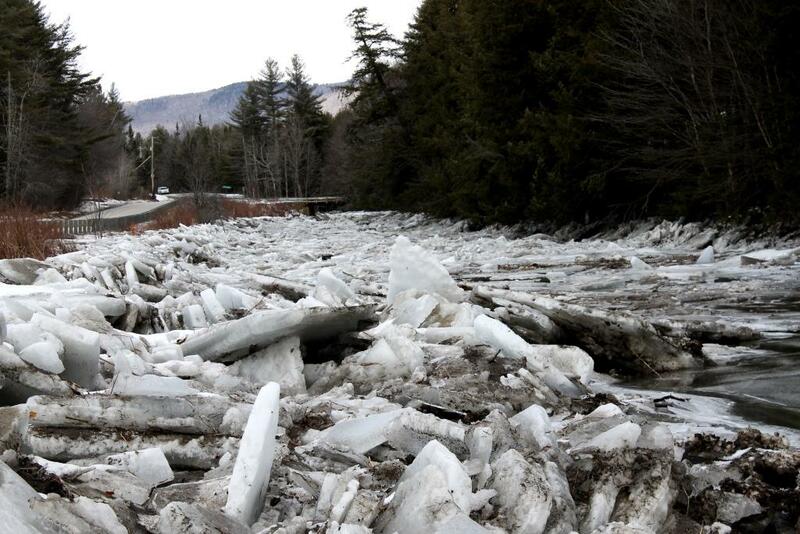 Giant floating ice chunks simply add to the charm of one of Vermont’s most delightful seasons! 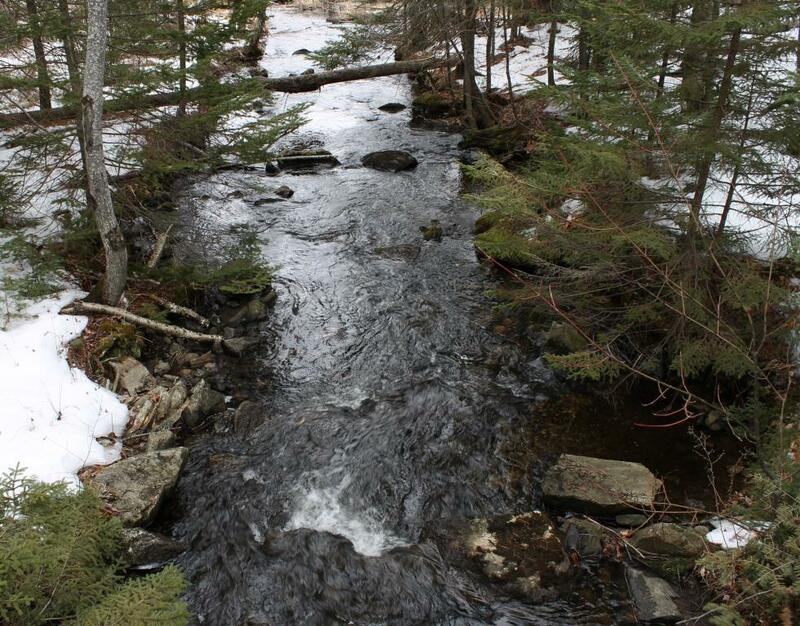 The rivers around here, except for the pools above the dams, have been relatively ice free this year. Last two years came close to what you documented. I kept a respectable distance away those years. 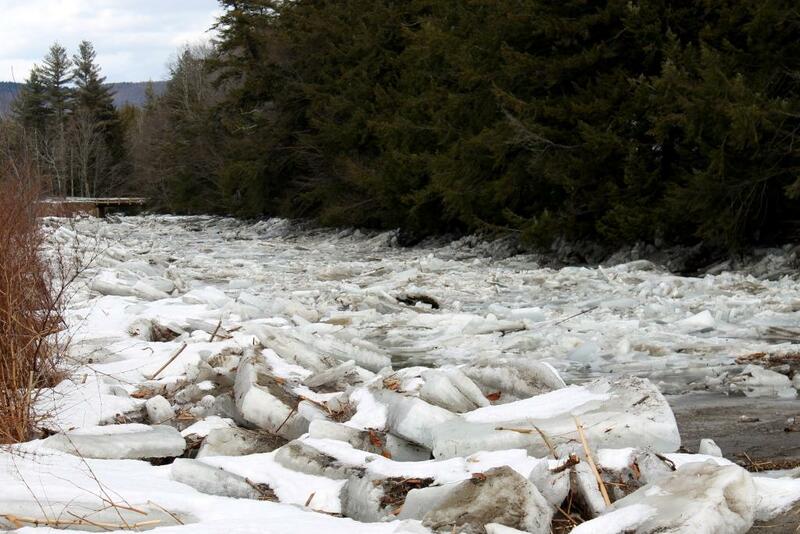 Amazes me, come spring after flowing ice like that, that there are still fish in the river to be caught. Looking forward to your annual sap running images and words. Love that whole process. I, too, am surprised that anything survives the beating that ice and flooding can dish out! Stopped by Bobo’s on Saturday. Skye and Tina were up on the hill fixing leaks in tubing and tapping the last batch of trees. Based on the weather forecasts, they weren’t expecting a run until at least the end of this week but, lo and behold, everyone was wrong and the tank filled up yesterday! There will be syrup tonight. 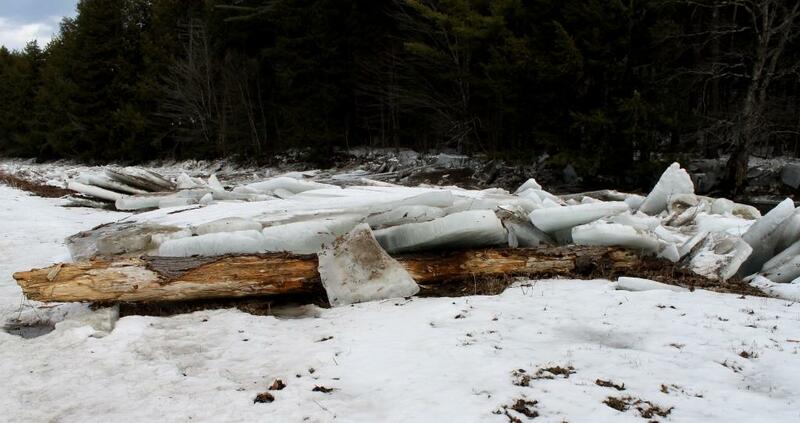 I saw the ice blocks scattered over the field a week ago, along with frozen waterfalls. Impressive to say the least. Given the swing in temperatures over the past week, the sound of the lake groaning must have felt like you were living next to a glacier! Robins have arrived in our backyard and one was actually singing “cheerio” yesterday. Chipmunks are out and about too. Good to hear the sap is running. Our syrup supply is running low. 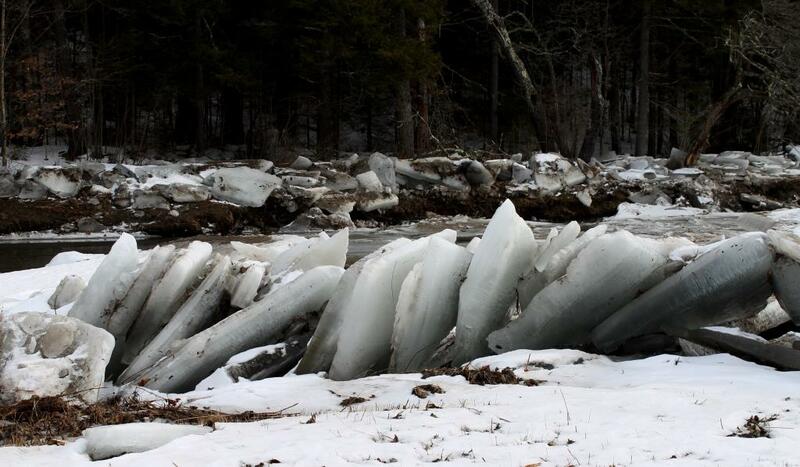 Frozen waterfalls scattered over a field would indeed be an impressive sight! A bunch of robins showed up here, too. Odd. A February boil seems odd, too, but I do not question maple syrup. Do I detect a new blog on its way entitled “Ode to Odd”?